New and exciting things are happening in the world of the African American adventure traveler. 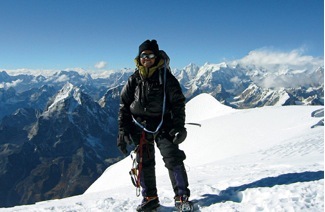 In 2006, with little fanfare, Sophia Danenberg became the first African American woman to reach the top of Mount Everest. Nomadness Travel Tribe, an African American adventure and international travel Facebook group founded in 2012, has a current membership of 4,000 and is growing daily. The 2013 travel roster includes sold- out trips to Brazil, India, Spain, and Japan. The Nomadness trips average sell-out time: 15 minutes. Also in 2012, in an industry first, outdoor shoemaker KEEN launched a national ad campaign featuring an African American family.The campaign was a welcome appeal to an underrepresented segment of the US population committed to outdoor playtime and adventure – the African-American Family. Majora Carter was the first African American woman keynote speaker at the 2013 biannual Januany breakfast meeting of the Outdoor Industry Association. On March 25, 2013 Barack Obama designated the home of Charles Young in Xenia, Ohio, a national monument to honor the first African-American national park superintendent who served from1903-1906. In June 2013, the Expedition Denali team was the first group of African American climbers to attempt the summit of the highest peak in North America. Though they ascended to only 700 feet short of their goal, it was a remarkable achievement and collaborative effort. The trip was cut short due to a freak lightening storm that drove more than 60 climbers on the route back to their high camp at 17,200 feet. But having returned home safely their story of adventure will inspire a new generation of black adventurers to follow their example and aspire to great heights in mountaineering. The first annual African American National Park Day was held on June 22, 2013. In response, chapters of “Outdoor Afro” popped up in national parks across the USA. OutdoorAfro.com’s Rue Mapp is the winner of the 2013 Outdoor Industry Inspiration Award. 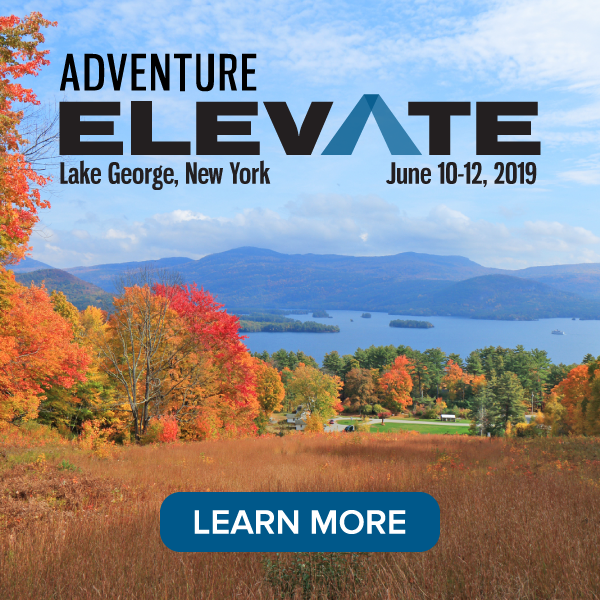 In the process of inspiring a new generation of adventure travelers and outdoor recreation enthusiasts, it is important to acknowledge the unique legacy of early African American international and adventure travelers, who demonstrated that chains, intimidation, and indoctrination cannot imprison the adventurous human soul or dim its vision and spirit. Paul Cuffe, who led a group of thirty-eight African Americans in their repatriation to Sierra Leone in 1815. Martin Delaney, who in 1847 led an African American exploring party to Nigeria seeking a homeland on their native continent. Mary Seacole (1805-1881), author of “Wonderful Adventures of Mrs. Seacole in Many Lands”, perhaps the first autobiography of international travel and adventure by a woman of African descent. Nancy Prince, businesswoman and missionary who in the 1820’s sailed to Russia and the Caribbean. Harriet Tubman, “conductor” of the Underground Railroad who, in the 1850’s and ‘60’s made 19 dangerous trips below the Mason Dixon line to deliver African American slaves to freedom. Mary Fields “Stagecoach Mary” (1832–1914), the first African-American woman employed as a mail carrier (via stagecoach) in the United States. In 1895, Mary Fields hitched a team of six horses faster than all the other job applicants, and was hired on the spot. 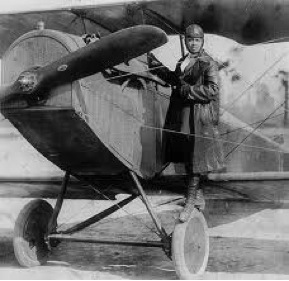 Bessie Coleman, the first licensed African American pilot, who received her license to fly in France in 1921, after being turned down by numerous U.S. based flying schools. Matthew Henson, a black explorer from Maryland, believed to be the first person to reach the North Pole in 1909, as part of Robert Peary’s team. The Buffalo Soldiers, a group of more than 400 African American cavalrymen who patrolled Yellowstone, Yosemite and Sequoia National Parks from 1903 through 1906. They are among the world’s first national park rangers. Guion Stewart “Guy” Bluford, Jr., the first African American astronaut. Between 1983-1992, Bluford traveled “out of this world” four times, beginning with a ride on the maiden flight of the Space Shuttle Challenger. Adventure Travelling is always an excited thing one can do .It will always make you energetic and enjoyable.